Carbon deposits form on the fuel injectors during normal driving conditions. The injectors – particularly the injector nozzles – exist in an environment where tremendous heat is generated. The burning of the fuel leaves carbon deposits on the fuel injector nozzles that interfere with the spray pattern and flow of fuel. Cleaning the fuel injectors on a regular scheduled maintenance program removes these deposits. 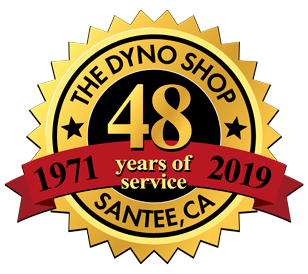 ​There are many reasons to have a vehicle’s fuel injectors cleaned. The main circumstances include fuel contamination, uneven cylinder fueling or spark plug wear, or an unexplained cylinder misfire where you have spark. You may also be ready for your general maintenance at 80K or 100K miles or just want peace of mind at the time of an engine rebuild. We clean your injectors ultrasonically, then we test their operation on the Injector Flow Bench. This examines the injectors’ spray pattern, checks dynamic and static flow rate, and performs a leak test. Once the flow test is finished, critical components are replaced, such as O-rings, seals, filters, and pintle caps. We also provide fuel injection tuning, diagnosis, installation, and repair. Have a carburetor on your car? 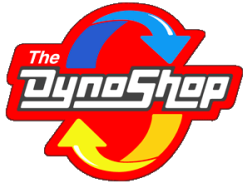 ​The Dyno Shop can service, rebuild, or replace your vehicle’s carburetor.